Stylish and sturdy, the black Mac Case Premium Leather Briefcase is a vertically oriented briefcase designed to carry up to a 15" laptop as well as a tablet and accessories. 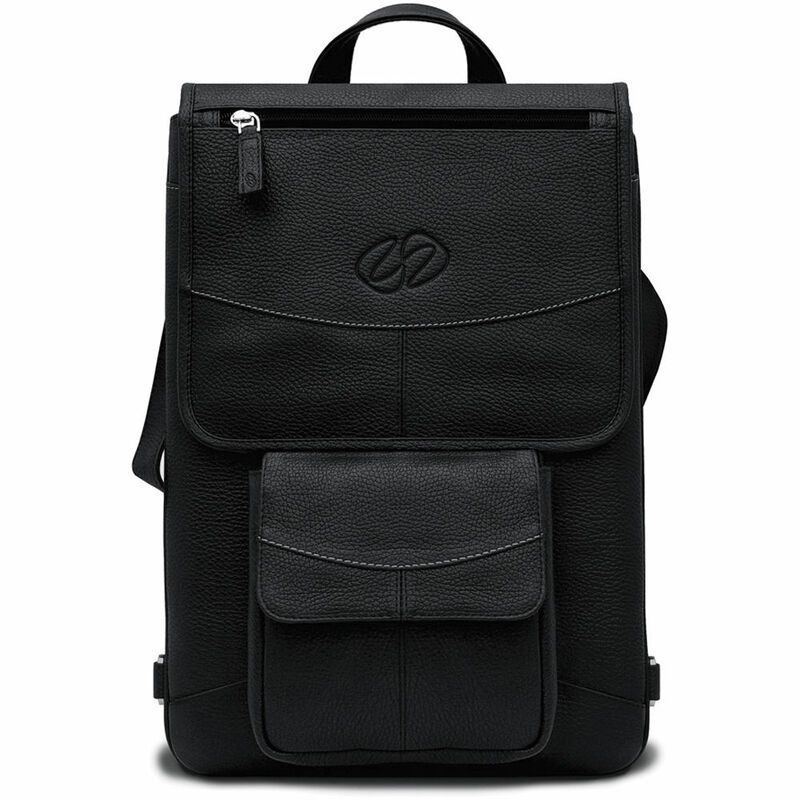 It is made from leather and has a padded interior lined with soft fabric. A removable, internal padded divider panel allows for a customized arrangement of your gear. A stainless steel finished metal clasp provides secure closure and chrome steel feet protect its bottom. The briefcase has large front and rear flat pockets, and a front flap zippered pocket for quick reach items. A removable padded shoulder strap is included, but it is otherwise carried by its riveted leather top handle. Furthermore, its front storage pouch is removable if needed. Box Dimensions (LxWxH) 16.0 x 11.3 x 3.7"